Your first few trips down to Boca Raton were probably about seeing the school, orientation, and move in (which means shopping too) and possibly a football game. By now, you know that FAU is really a beautiful school. To boot, there is no denying that Boca’s also gets the best of Florida’s weather (well, minus the ridiculous summer heat, but that is a great time to go check out the beach)… Good weather makes us want to be outside and drink it in. Great news; there is plenty to do in and around Boca Raton that will keep you enjoying nature and the outdoors. Gumbo Limbo Nature Center: Located about 4 miles from FAU, Gumbo Limbo is a must see. Gumbo Limbo Nature Center is a local favorite. Gumbo Limbo features a boardwalk, butterfly garden, a small museum and large outdoor tanks featuring Florida sea life and tropical fish. Gumbo Limbo is also a Turtle rehabilitation center; they rescue injured or sick turtles and eventually return them back to the wild. Gumbo Limbo also has a canoe, kayak and paddle boarding tours of the Intracoastal Waterway. 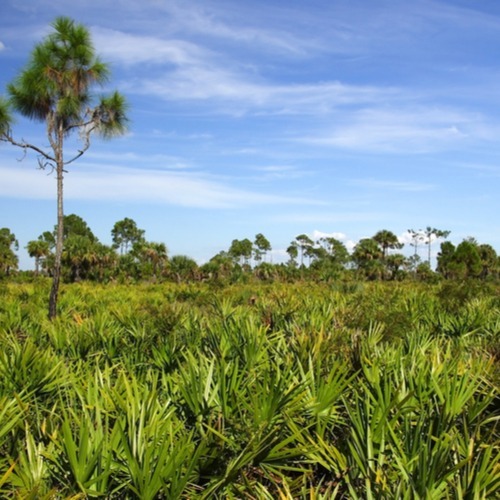 Tortuga Trail: Located on campus, The Tortuga Trail is natural scrubland that is home to box turtles, owls, and various species of Florida birds and plants. There are 3 trails within the preserve area, all varying lengths. The trail is free to FAU students and their guests. Morikami Museum and Japanese Gardens: Located about 15 minutes from FAU, Morikami features beautiful, lush Japanese gardens featuring bonsai trees, waterfalls, and flowers. The gardens are inspired by famous gardens found in Japan. Morikami also features several exhibits, a theater, and a café. Beaches: We wouldn’t be talking about Boca Raton if we didn’t mention the beach; your student is going to school only about 5 minutes away from one. There are several beautiful beaches and parks right down the street from FAU. Spanish River Park is popular among students. For those feeling adventurous, take a trip out to the Florida Everglades. The Florida Everglades is home to several different species of wildlife such as birds, fish, and yes-even alligators. Taking an Airboat is basically a rite of passage in Florida and is a great way to tour this beautiful land. Maybe a nice stroll along a beachside pier is what you’re looking for. Head on down to Deerfield Beach, about 20 minutes from FAU, and take a nice walk along the beachfront pier. Fishermen can partake in fishing off the pier; fishing rods and bait are available for rent. The pier is a beautiful spot for taking in some of South Florida’s sights and its located on a popular beach. There are several beautiful parks in the area; many include beach access with volleyball courts, grills, and hammocks. Popular parks among students are red reef and Spanish River. Chances are, your student has come to love Boca and FAU. Let’s face it; Boca is now their home away from home.